Michel Platini was nicknamed ‘Le Roi’ – with his captivating performances for club and native France during his mid-1980s peak, back then he was widely regarded as the best player on the planet. The Frenchmen with strong Italian roots is one of the most respected and well known legends of the game and examples of his leadership skills are still given to this day. Not only for the numerous clubs he played for but also for the French national team Platini scored many goals and brought home many cups and trophies as well. Following his retirement as a player, Platini was the French national team coach for four years, and was the co-organizer of the FIFNA World Cup in France in 1998. From 2007, he served as the president of the UEFA and also held noted positions as Chairman of FIFA’s Technical and Development Committee and Vice-President of the French Football Federation. 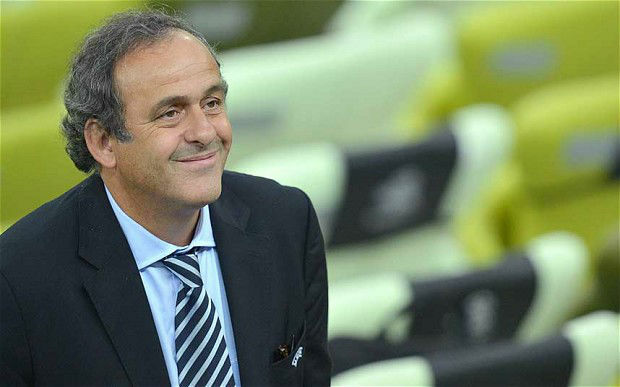 Michel Francois Platini was born in 1955 in Joeuf, France to parents of Italian descent. His father Aldo was a professional footballer and a long-time director of the AS Navy club where Michel started his professional career. Initially Platini fared poorly at youth clubs, namely owing to his persistent breathing problems as a youngster. Despite doctor’s order banning him from playing soccer, Platini still persisted and joined another club where he quickly made a mark for himself. Platini started off with a hat trick then scored 17 crucial goals within his first season. Platini then joined another local French club Saint Etienne for a few years before eventually leaving for Juventus in 1979. Throughout his career Platini played for the clubs Nnacy, Saint Etienne and Juventus. He was a prolific goal scorer and won the Serie A award three consecutive times between 1983 and 1985. He was also the top scorer of Juventus’s winning campaign in the 1984-85 European Cup. Platini was a key player of the French national team and won the 1984 European Championship. At the same tournament he was the top scorer and best player, and reached the semi-finals of the 1982 and 1986 World Cups. Together with the midfielders Alain Giresse, Luis Fernandez and Jean Tigana, he formed the care magique (also referred to as the ‘magic square’) of the French team in the 1980s. Platini was his country’s record goal scorer until 2007, and holds the record for most goals -9 – scored in theEuropean Championship. Platini has won the coveted Ballon d’Or three times in 1983, 1984 and 1985. He came in sixth in the FIFA Player of the Century poll. In recognition of his achievements he was named the Chevalier of the Legion of Honour in 1985 and became Officier in 1988 in France. Platini was inducted into the English Football Hall of Fame and also named as the All-time Greatest European Footballer. He was World Soccer Player of the Year in 1984 and 1985. He was also inducted into the Italian Football Hall of Fame.